With summer just around the corner, I thought I'd better get this white under-tee ready for use, to wear under sheer tops or anything needing a little extra coverage. 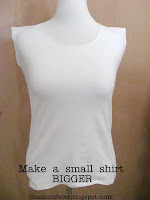 Many moons ago, I posted How to Make a Small Shirt Bigger with a black under-tee, that was very popular. Hopefully this will help many of you as well. Same idea, different color. 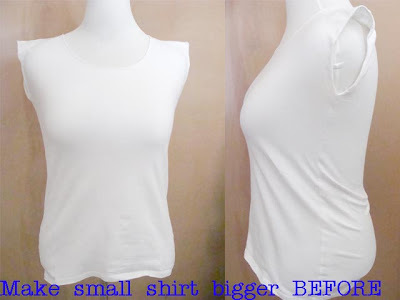 This under-tee is meant to be tight fitting, but after washing it, it became more of a sausage casing. I hate the feel of underarm squeeze. 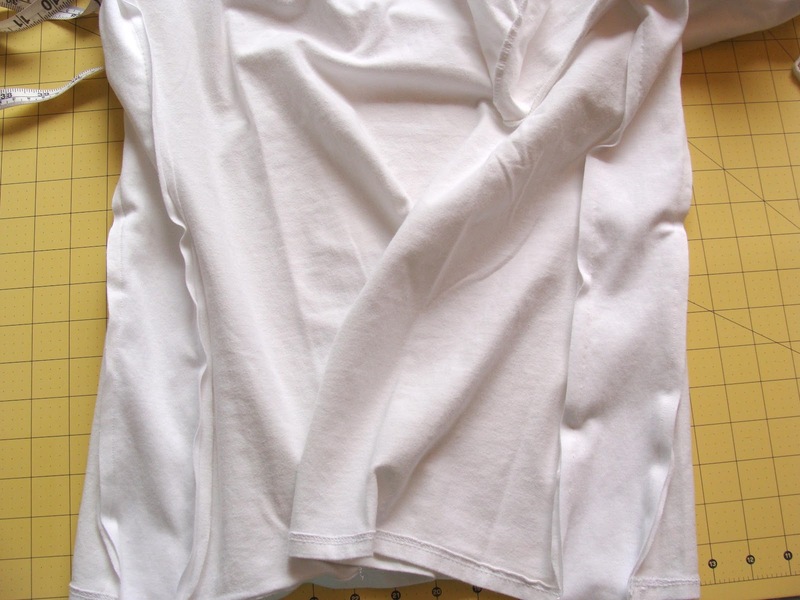 By adding panels to each side, it gives the under-tee a little more breathing room and is much more comfortable. 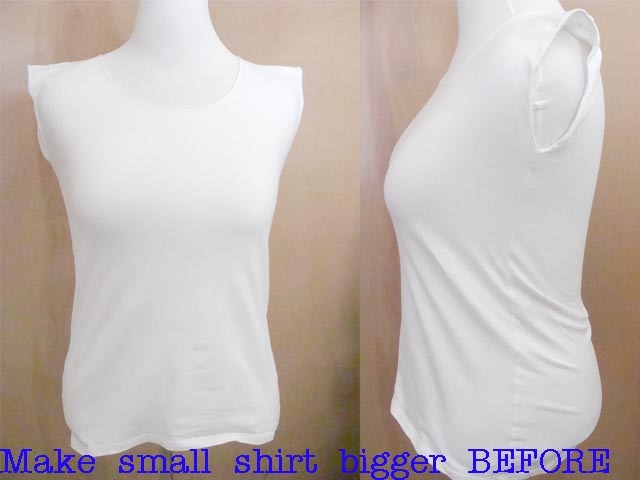 This easy adaptation can be applied to any small t-shirt to give it some more room. First, measure the side seam from the armpit down to the base seam. *For a sleeved t-shirt, measure from the outer edge (under the sleeve) down to the base. 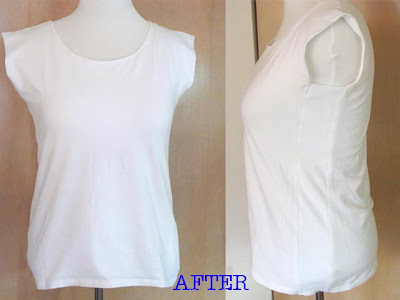 Find t-shirt material you want to insert into the side seams. 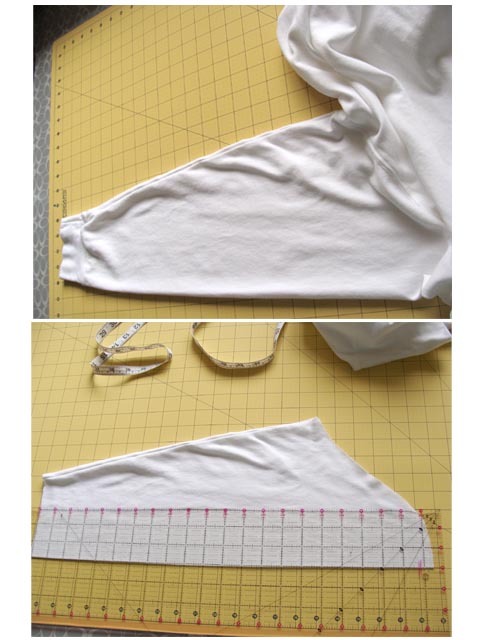 I chose to cut up a white clearance t-shirt, into two 3" strips. 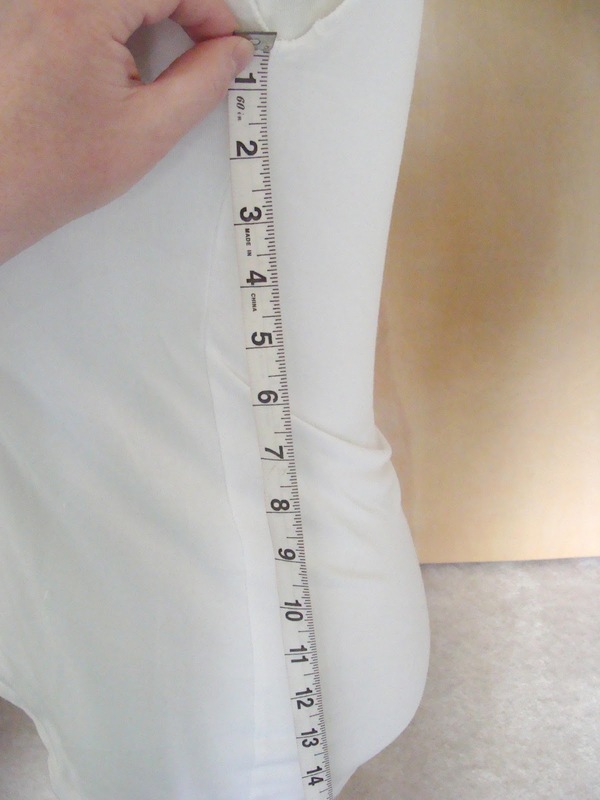 How much wider you want your shirt will determine how wide your inserts should be. 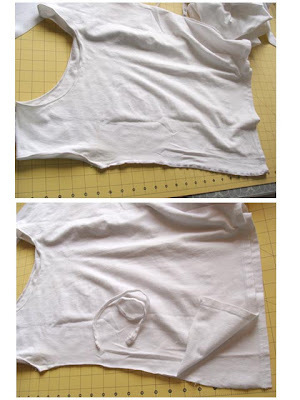 Next, lay out your shirt and cut off the side seams on both sides, just up to the armpit. 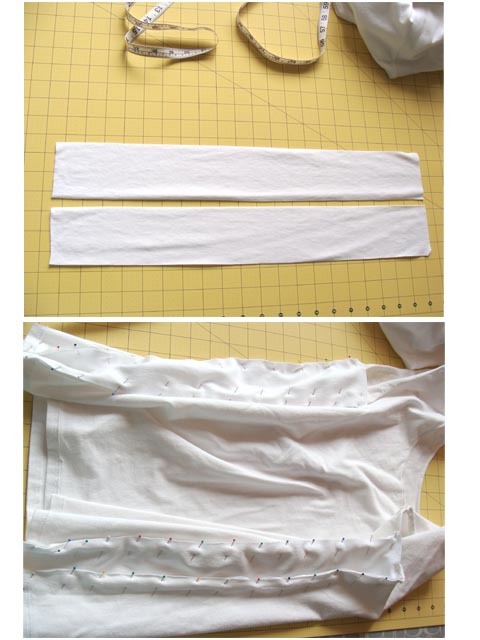 Pin your strips right sides together, to each side seam. 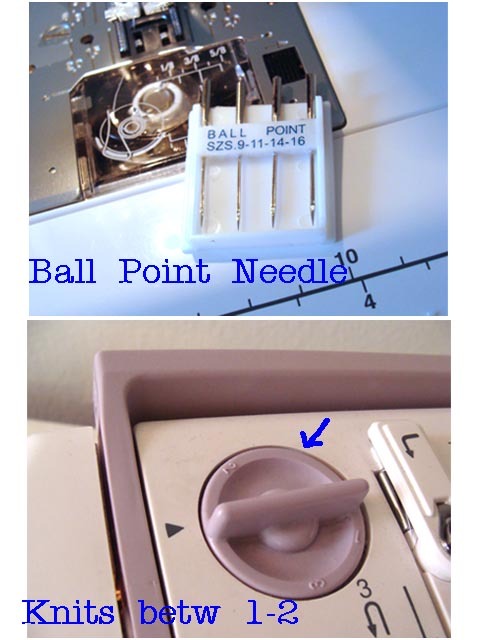 For jersey knit, I use a ball point needle. 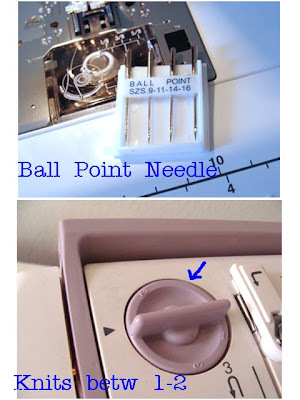 Regular needles can make permanent holes in knit. And, since knit is stretchy, I also turn my pressure dial down to between 1-2, to prevent a wavy seam. 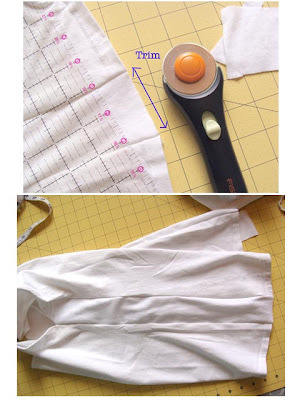 Once your panels are added, turn the shirt right side out and trim off the excess. Knit doesn't fray, so you're safe to have a raw edge. You could also have turned the edge under previous to sewing, but since my knit was a little heavy, I left it raw to prevent bulk. And you're all done! It really is quite simple. See how those panels give it a little more room? No more sausage casing. 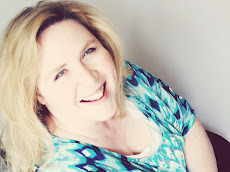 Now it's ready to wear...and much more comfy. You might also want to try adding colorful side panels to a top for a little color blocking. Might be fun to try for summer. 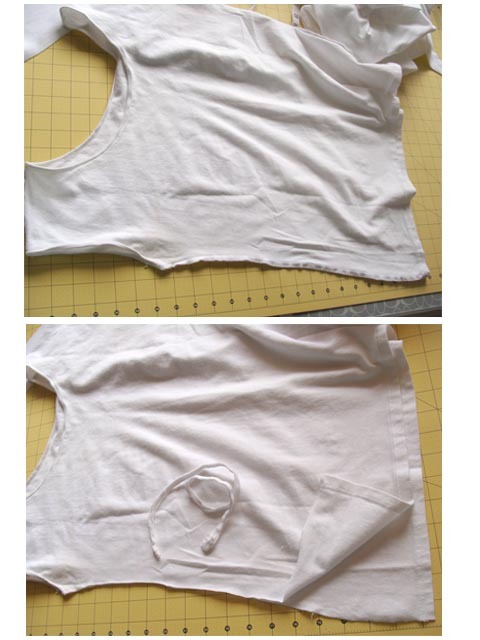 Even with a top that already fits! I will be trying this today!